The black sheep - Dublin - It's Certainly not being shunned by punters. The good people behind The Oslo, The Cottage and The Salthouse in Galway have done it again. Like when they took the corner of death on Wexford street and turned it into one of the best drinking establishments in Dublin, they have done it again North of the liffey on Capel street. 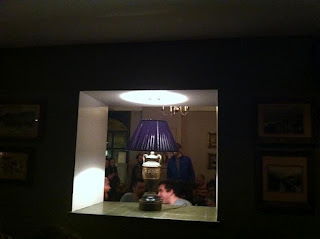 The location has been home to such places as The Living Room, The DeLux and The Bleu Note. I don't think it will be changing any time soon, not the way these guys run a bar. The Black Sheep is very similar to ATG except it's a little bit smaller. It shares a similar feel, a shared atmosphere if you will. The décor is similar with farmhouse kitchen style table and chairs. Board games are available to play and there is no television to distract from talking. Music is played at a low level, though it can still be hard to hear because all those people talking at once creates its own noise. Still the atmosphere is excellent and relaxed. There is a wall that splits the bar in two and I am not sure of its function. Perhaps it simply holds the roof up but it looks like it takes a lot of space away from the already small bar. The other side of the partition is pretty much the same. The bar itself is split by the partition. I only noticed the one flood, I don't think there is an upstairs like ATG but I could be wrong on that one. The main thing is the beer, that's what you are going for after all. As you would expect, they have a fantastic range of kegged beer on tap and barely a drop of macro stuff to be seen, except Blue Moon (Coors) and this is a decent enough beer to be honest, at least on tap. I don't care for the bottled version much. While I might not drink Blue Moon, enough people will and it has flavour unlike many other mass produced beers. There is apparently a large basement downstairs which they're doing up. I have decided I've had enough of the chunky chip. Bring back the French fry, say I. What about the misshapen Irish chip like your mammy used to make? My mammy gave me more than a mini Jenga-stack. It's what made me the big strong boy I am today. Hear, hear, on the call for chips, or french fries, or in fact anything smaller than the current ones. You can keep your skinny French fries. Thick chunky chips are the way to go. Went there the other day with some real ale fans from UK, as had heard people talking about it. Unfortunately, after waiting at the bar for about ten minutes, we had neither been acknowledged or served. Disappointing, especially as there were very little customers there at the time. We duly left and went somewhere else. A shame, as we were looking forward to sampling what was on offer. Wouldn't rush back. That's odd and it is a real shame as it has marred your experience. 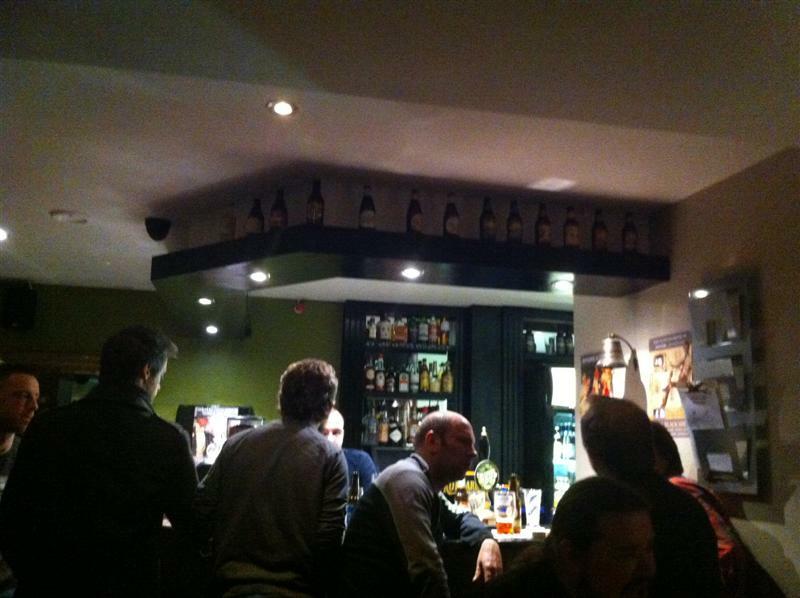 Why not head to the new sister pub, the brew dock, formerly Kate's cottage. You will have no trouble getting served there. 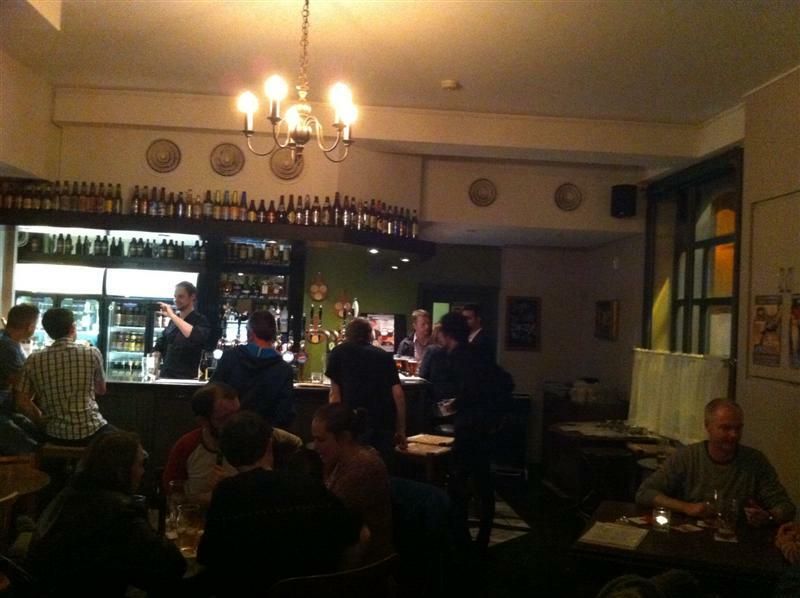 It's much quieter and the beer selection is almost as good. Just sitting here now trying a pint of O'Hara's Pale on cask. Very tasty, high in hop flavours and the aromas are so inviting. Managed to bag a cosy couch by the window on a wintry wet day. Staff nice, not overly informative but content with what I came for.....beautifully crafted Irish cask beer, gentle surroundings and pleasant atmosphere :D worth a stop off!! 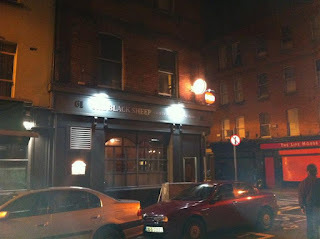 The Tale Of The Ale: The black sheep - Dublin - It's Certainly not being shunned by punters.